Publisher: Harcourt, Brace and Company, Inc.
As early as 1916, he began taking notes for a realistic novel about small-town life. Work on that novel continued through mid-1920, when he completed Main Street, which was published on October 23, 1920. As his biographer Mark Schorer wrote, the phenomenal success of Main Street "was the most sensational event in twentieth-century American publishing history." Lewis's agent had the most optimistic projection of sales at 25,000 copies. In its first six months, Main Street sold 180,000 copies, and within a few years, sales were estimated at two million. According to biographer Richard Lingeman, "Main Street made [Lewis] rich—earning him perhaps three million current  dollars". Lewis followed up this first great success with Babbitt (1922), a novel that satirized the American commercial culture and boosterism. The story was set in the fictional Midwestern town of Zenith, Winnemac, a setting to which Lewis would return in future novels, including Gideon Planish and Dodsworth. 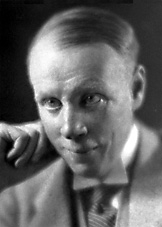 Lewis continued his success in the 1920s with Arrowsmith (1925), a novel about the challenges faced by an idealistic doctor. It was awarded the Pulitzer Prize, which Lewis declined. 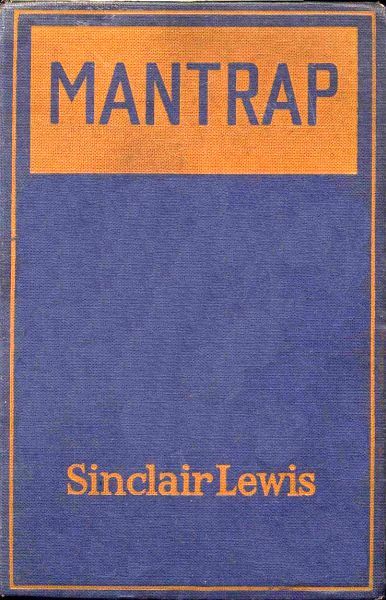 Next Lewis published Elmer Gantry (1927), which depicted an evangelical minister as deeply hypocritical. The novel was denounced by many religious leaders and banned in some U.S. cities. Adapted for the screen more than a generation later, the novel was the basis of the 1960 movie starring Burt Lancaster, who earned a Best Actor Oscar for his performance. Lewis next published Dodsworth (1929), a novel about the most affluent and successful members of American society. He portrayed them as leading essentially pointless lives in spite of great wealth and advantages. The book was adapted for the Broadway stage in 1934 by Sidney Howard, who also wrote the screenplay for the 1936 film version. Directed by William Wyler and a great success at the time, the film is still highly regarded. In 1990, it was selected for preservation in the United States National Film Registry, and in 2005 Time magazine named it one of the "100 Best Movies" of the past 80 years. During the late 1920s and 1930s, Lewis wrote many short stories for a variety of magazines and publications. "Little Bear Bongo" (1930), a tale about a bear cub who wanted to escape the circus in search of a better life in the real world, was published in Cosmopolitan magazine. The story was acquired by Walt Disney Pictures in 1940 for a possible feature film. World War II sidetracked those plans until 1947. Disney used the story (now titled "Bongo") as part of its feature Fun and Fancy Free. In 1930, Lewis won the Nobel Prize in Literature, the first writer from the United States to receive the award, after he had been nominated by Henrik Schück, member of the Swedish Academy. After winning the Nobel Prize, Lewis wrote eleven more novels, ten of which appeared in his lifetime. The best remembered is It Can't Happen Here (1935), a novel about the election of a fascist to the American presidency.--Wikipedia. Epub 20180717.epub If you cannot open a .mobi file on your mobile device, please use .epub with an appropriate eReader. Mobi/Kindle 20180717.mobi Not all Kindles or Kindle apps open all .mobi files.